The 360 degrees rotation allows adjusting the device in any angle without blocking the view. The mount is accessible to all function areas of the device therefore ensuring a safe driving or working. 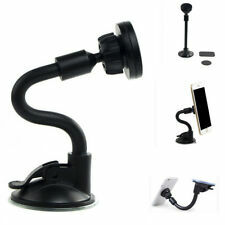 Set up and attach to windshield, dashboard or desk. This magnetic car mount holder is great for driving and safely keeping your phone in your car, It is made of strong materials that hold the phone securely without ever scratching its surface. 4 directions ratatable cradle,allows you to easily adjust cradle horizontally or vertically. Cradle grip spread range: 55-75mm. 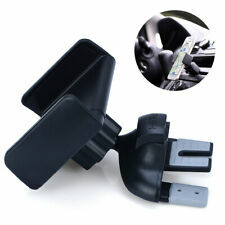 1 x Universal Car Air Vent Mount. Easy to install at Car Air Vent. Vent mounted design fits most cars without impeding visibility. Cradle For iPhone Android Phone. Intuitively designed cradle arms provide easy access to side panel buttons on phones. 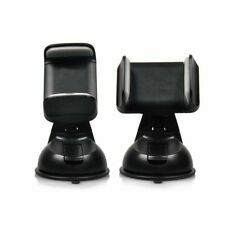 Universal In Car 360° CD Slot Mount Holder Stand. Insert the mount base into CD slot and tighten the T-screw on the bottom part of CD slot. Easy installation on any CD slot and air vent. 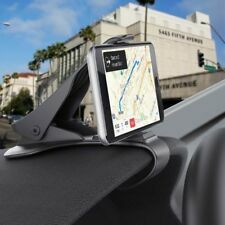 1x Car CD Slot Phone Mount (not include the phone). Color: black grey. Universal fit most smart phones between 58-90mm width. We will help you step by step for the exchang process. 1 x Phone Holder. Fixed way: Windshield. Style: A variety of fixed way, can be rotated Variety car bracket. Suitable: For PDA, smartphone, MP4 and so on. Anyway we will try our best to avoid this kind of thing. Large strong suction cup attaches to the windshield or most smooth flat surfaces. 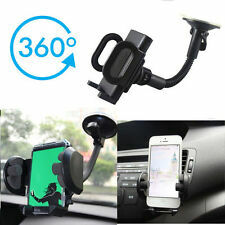 1X Universal 360 Degree Rotating Car Mount Holder. Hope to have more chances to serve you! This handy holder can be attached to your car windscreen, dashboard or air vent. This holder is compatible both with Naked Phones and Phones with cases on them. With a long flexible stem you will be able to position this holder exactly where you need it. 1 x non-slip mat. The images are for reference only. High and low resistance to temperature. Washable, can be used repeatedly. Mount it on your bicycle or motorcycle's handlebar. With 360 degrees rotation you can easily adjust the bracket arm to any angle you desire. - Waterproof,not 100% water-proof case.It only protects in slightly water-drop or rain. Requiring no screws or fixings, the magnetic Smartphone holder simply attaches to your dashboard with a strong adhesive pad. Fits most Smartphones. Strong magnet and adhesive pads ensure secure fixing. Set up and attach to windshield, dashboard or desk. •One-handed operation, and fully adjustable with 360 degree rotation and reversible head. One-handed operation, and fully adjustable with 360 degree rotation and reversible head. We'll be more than happy to satisfy you. 1 Magnetic Air Vent Mount.